After the incredible Champions League final, we’ve just witnessed, the only major footballing competition left to look forward to this season is the World Cup 2018. Most of the regular domestic leagues and cups are now history – we know the winners, we know the losers, we’re aware of the numbers. Now all we must wait for are the announcements around the final squads which will come to Russia, and then the games to start. June 14th can’t come fast enough, especially for those of us who want to end our football betting season on a plus. Where To Bet On The World Cup 2018 Matches? If you also want to finish your betting season with a profit, or just want to place a buck or two on your favourite matches this summer, it’s not too late – even if you’re not a diehard football fan. There are plenty of World Cup 2018 betting offers which you can choose from to make sure you maximize any potential profit you make from this awesome competition. Most online betting sites come with significant offers around the World Cup, both for new customers and existing ones. If there ever was a time to open a new betting account, this is surely it. What and How To Bet On World Cup 2018? Alternate match bets with tournament/group bets. Trust statistics more than you would for club football. Nations often have their unique style, which often clashes with that of other nations. A squad can’t change that much over the course of a few years, and head coaches usually last longer than in the case of club football. This leads to slightly more predictable results, because teams have less fluctuations in form. Of course, there are notable exceptions, like Spain’s group stage exit last time around. Place more than one bet on a single game. Just make sure it’s not an outright one also. If, for example, you want to bet on Belgium – England, and want to place a 1X bet, follow it up with an over 2,5 goal bet, or a bet that Hazard will score. Or that we’ll have at least three yellow cards in the England team. Placing bets like these not only increase your chances of winning, but also makes the game more enjoyable – when was the last time you cheered for the ref to book a player? Try to guess this year’s overachiever. Not with the bulk of your money, of course. But placing a few pounds on the team which you think will impress everyone can net you quite good winnings. 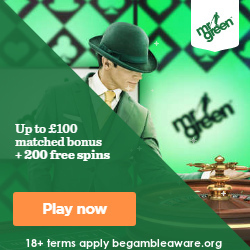 Even more so, you could use some free bets that you have lying around in your account as bonuses from signing up. Who will it be this year? Mexico? Poland? Costa Rica? Panama? Bet on the big things. Because when it comes to club football, you usually want to avoid season-long bets, because they take long time to settle and don’t give great odds. For the World Cup, even bets like the winner of the tournament or the golden boot only take around a month to solve, so take advantage of this! It’s also an added layer of fun – you’ll have someone to cheer for over the entire tournament, even if you don’t watch all the games. Last but not least, remember to enjoy the tournament. Bookmaker bonuses and promotions will certainly help, but you are the final responsible regarding the joy of the World Cup. You only get to watch this kind of competition once every four years, and it’s a real pity to miss it or treat it like just another day at the office. Find your team, root for them, watch as many games and possible, and get involved into debates, both online and offline. And if you fancy football betting, remember the most important: play responsibly!